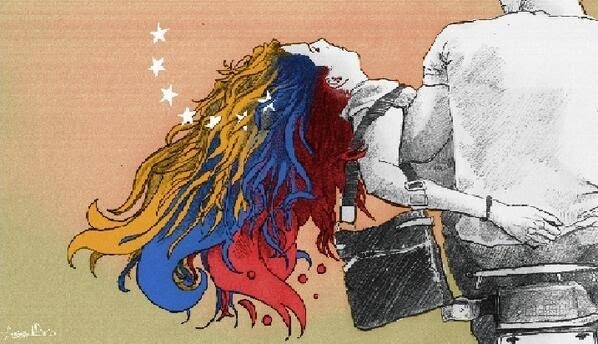 She was just 22 years old and nonviolently expressing her desire for a better Venezuela when she was shot in the head on February 18, 2014 and died a day later on February 19, 2014. 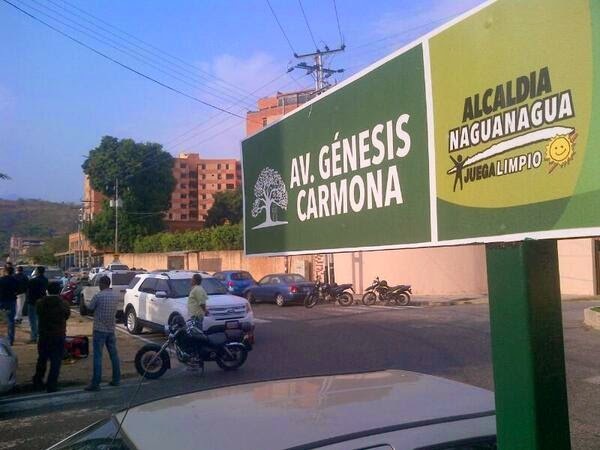 Her name was Génesis Carmona. 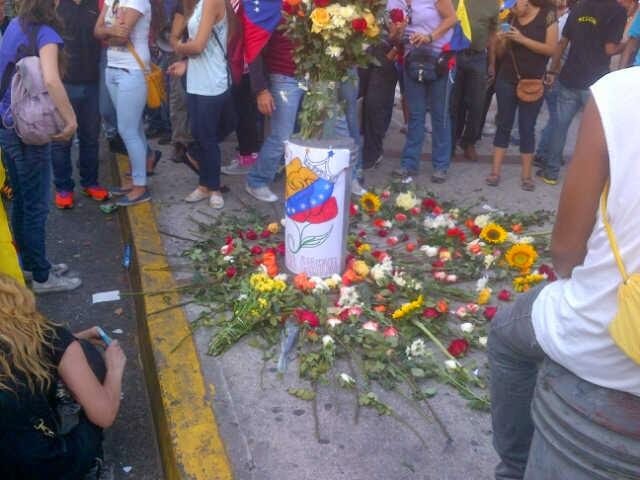 Today across Venezuela people gathered to remember her. Flowers laid at the spot were she was shot and her life cruelly taken away. In the space of a month a street has been named after her and art work created recalling her final moments being carried away on a bicycle to emergency care. Whats most disturbing is that a month later others have joined her in martyrdom for either peacefully dissenting from the government or just being at the wrong place at the wrong time when a bullet flew by. Each day the list of dead grows longer. The Jewish religious tradition in the Mishna says that "that whoever destroys a single soul, Scripture accounts it as if he had destroyed a full world." How many worlds have been destroyed in Venezuela? 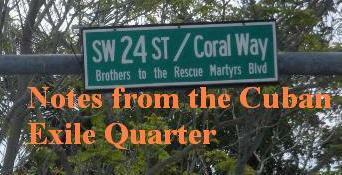 Yesterday, Dania Manzano Uribe, 29 years of age, and a mother was shot and killed. How long will this go on before the Maduro regime disarms its paramilitaries? Let us pray for Génesis Carmona and the other innocents whose lives have been cruelly taken away but at the same time demand that the perpetrators of these killings be identified and brought to justice in a court of law to answer for their crimes.